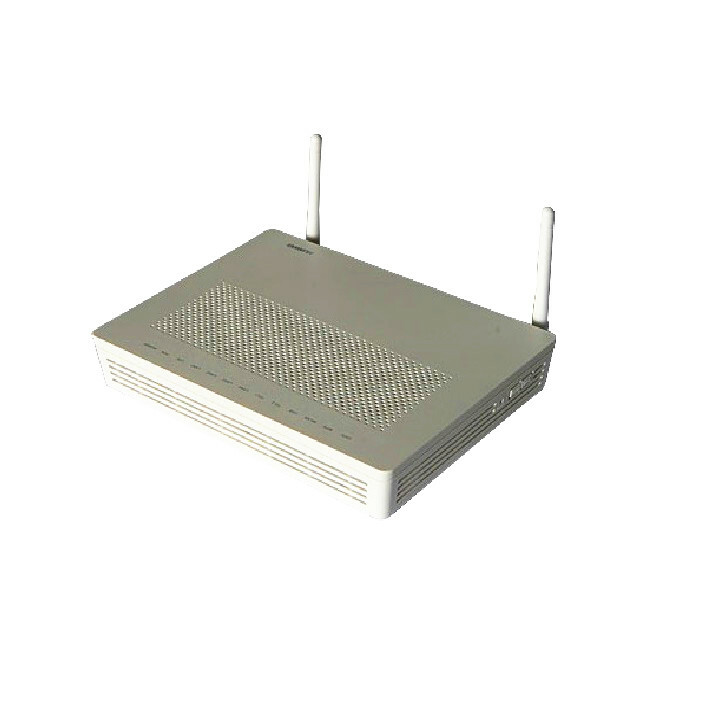 Huawei Echo life HG8247H ONT 4GE+2VOICE+WIFI+CATV is an optical network terminal (ONT), is a high-end home gateway in Huawei FTTH solution. By using the GPON technology, ultra-broadband access is provided for home and SOHO users. The HG8247H provides two POTS ports, four GE/FE auto-adapting Ethernet ports, one CATV port and one Wi-Fi port. The HG8247 features high-performance forwarding capabilities to ensure excellent experience with VoIP, Internet and HD video services. Plug-and-play: services can be deployed by one click on the NMS, and on-site configuration is not required. Remote diagnosis: Remote fault locating is implemented by the loop-line test of POTS ports, call emulation and PPPoE dialup emulation initiated by the NMS. Link monitoring: E2E link detection is achieved using 802.1ag Ethernet OAM. High speed forwarding: 900 Mbit/s forwarding in the NAT scenario. IPv6 Capability: support IPv6/IPv4 dual stack and DS-Lite.